At Beechwood Animal Hospital we care about pets and their people. 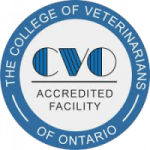 Our goal is to provide you with quality veterinary service in a caring, positive, and clean environment. We encourage open dialogue and free communication with our staff and clients. If you have any concerns or questions regarding the care your pet has received today, please do not hesitate to bring it to our attention. If you prefer you may speak privately with either our Practice or Office Manager. We appreciate your feed-back, and constructive suggestions for how we may better work with you and your pet. Please let us know what we are doing well, too!